I have never been a good swimmer. Running, dancing and cycling I love but for some reason I never naturally took to the water as a child and struggled to learn to swim. So while most kids were jumping into swimming pools in their pyjamas to reclaim bricks from the bottom (damn that looked so fun) I gave up once I got my 50 metre badge. 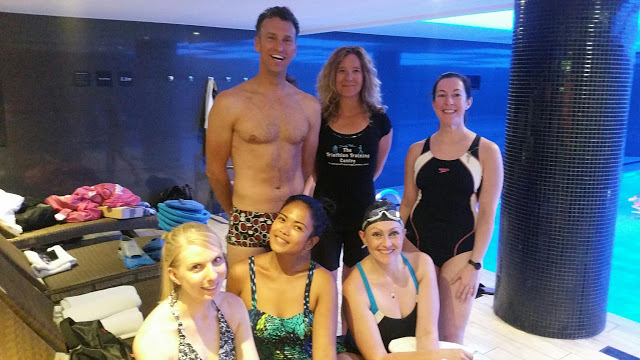 So when Fitness First in Hammersmith asked if I'd like to come along to a swimming workshop hosted by world triathlon champion Richard Stannard, you would have thought I'd shy away and decline. But actually I thought this would be a perfect way to try something new and try to build up my confidence back in the water. Plus with the Olympics on at the moment everyone is an ambitious sporting mood! 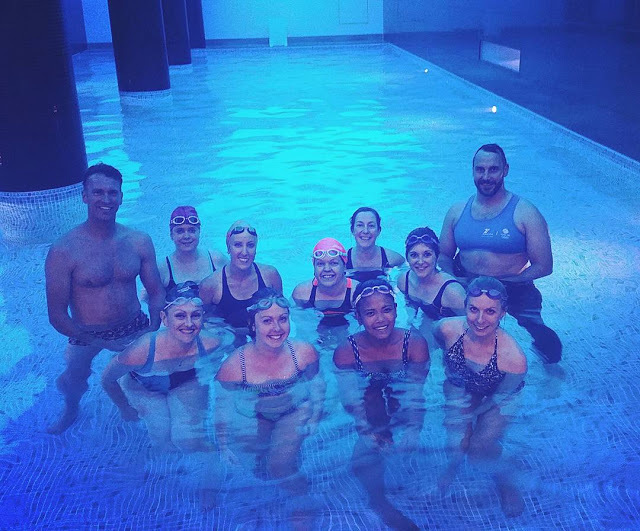 Richard gave us some top tips for improving our swimming skills and perfecting our front crawl technique. He watched us all swim lengths of the pool as a group and gave us some great feedback. I soon learnt that part of the reason I don't swim particularly well is because I don't put my face in the water enough and I swim with my body diagonally in the water when it should be straight and flat against the water. I learnt a lot of things I didn't know about swimming before, such as the best arm and feet movements for effective swimming. 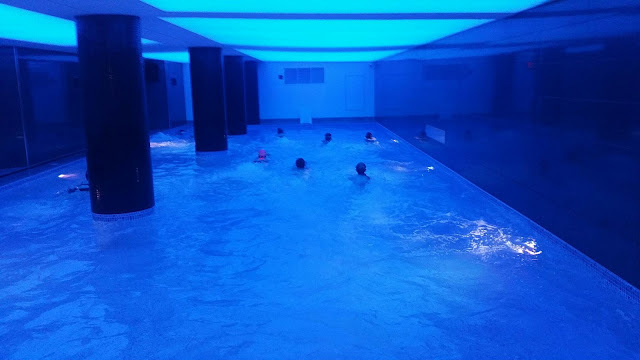 We had such a fun swimming session and felt great afterwards but were all surprised by how knackered we felt when we got out the pool - proving swimming is a very effective workout! Luckily the evening got even better as Nando's in Hammersmith very kindly provided us with salads to refuel afterwards. 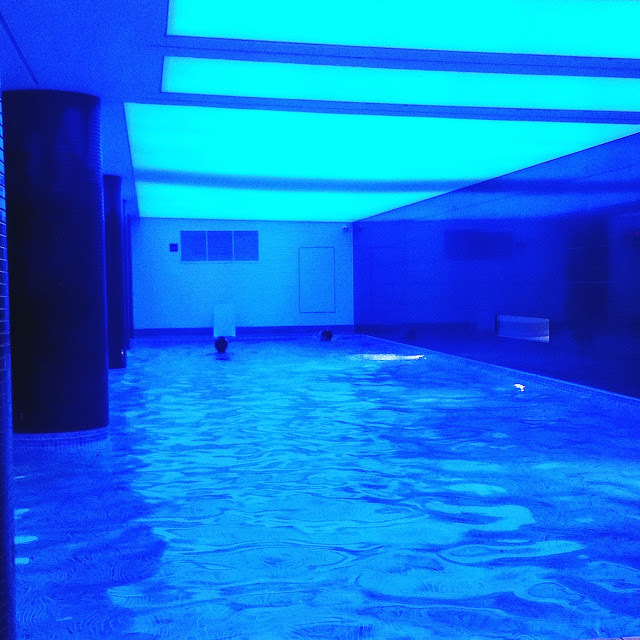 Fitness First's pool in Hammersmith is gorgeous with lovely blue lighting and views into the gym next door. As well as being the perfect length for practising it is also an ideal chill out zone. 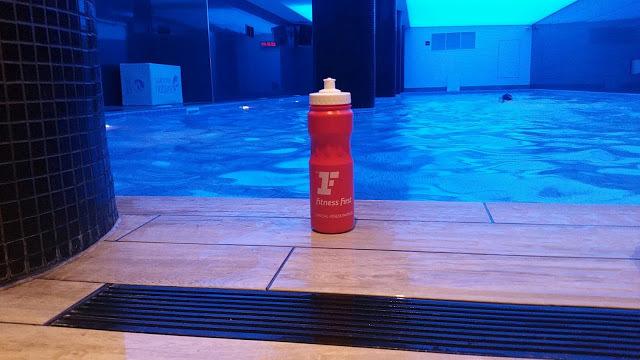 We had the option to use the gym facilities afterwards but we were all so tired from our swim we decided to just relax in the luxurious sauna and steam room instead! Be Consistent - try to maintain at least three swims a week if you are training and a have a specific goal for each session. Endurance, threshold and speed work are the key areas to work on. Use a clock, watch or beeper - Using timing equipment is vital to gauge improvement and asses which areas need work. Learn to negative split - A common error in swimming is to set off too fast. Try to get faster in the second half of your session and be aware of your pace. Focus on technique - Studies have shown that focusing on technique throughout a swim set will help you get faster. This is especially important when tired or when you're nearing the end of a session. 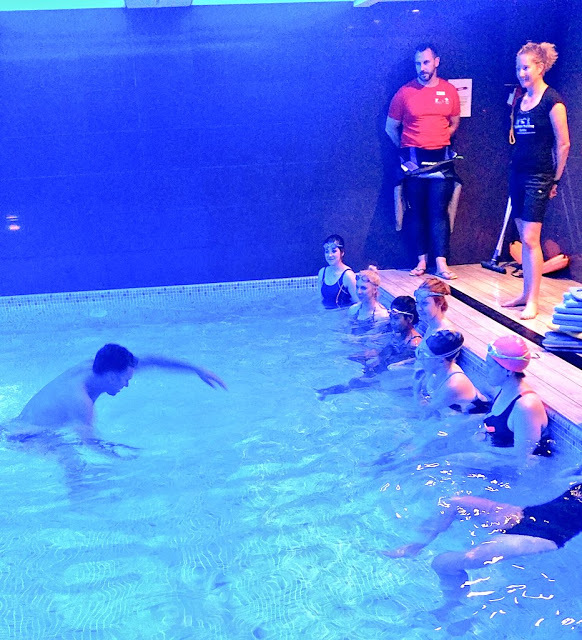 Richard also hosts frontcrawl swim clinics for those looking to train for a triathlon. Check out www.frontcrawlswimclinic.com for more information! I may not have perfected my front crawl technique just yet but I am certainly more inspired to go swimming more regularly and not be afraid of the water! Thank you Fitness First for such a fun evening!